Hong Kong is seen as the perfect example as to why Google has shaken-up search rankings, giving preference to “mobile-friendly” websites. 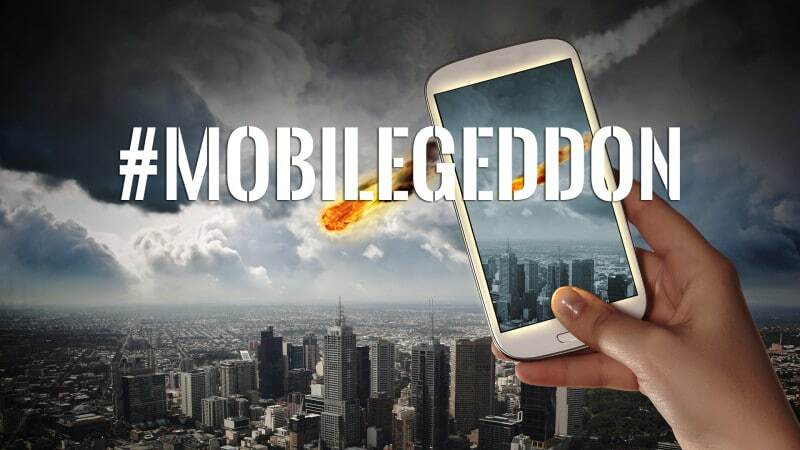 The updates, that will see unresponsive mobile websites drop significantly in mobile Google searches, has been dubbed ‘mobilegeddon’ by industry commentators. Today, Google confirmed changes they heralded in late February. While the language was all rosy in their original release titled “Finding more mobile-friendly search results”, the details would have seen some unprepared businesses scrambling, as if an asteroid had just been detected heading for their web-server. Luke McCormack, our Operations Manager let us know his thoughts on the biggest Google update of 2015. Mobile usage has now exceeded desktop usage. This means, world-wide, people use mobile devices like smart phones more than traditional computers. McCormack said this is why mobile-responsiveness is a Google priority. “Google’s main aim is to make the user experience for their searches as friendly as possible,’’ he said. “They want quality content in their search results. While this is big news for smartphone users and those who want to have an deep impact in that market, McCormack was careful to point out that the changes would only affect mobile platforms and not desktop or tablet at this time. How will Google search changes affect my business? In short, even established businesses’ websites could be blown into cyberspace. McCormack said if a website is not mobile-friendly or mobile-responsive, the Google search rankings on mobile platforms will be dropping now. For businesses with an online presence – after the mobile-responsive changes – this means clients using smartphones may not be able to find you. McCormack confirmed that in most of his clients’ industries, more than half of the traffic comes from mobile platforms. He said that number will only increase with advances in mobile technology. However, if you flip the equation, McCormack said this could become a significant advantage for some. What should businesses do to stop ‘mobilegeddon’? McCormack said his First Page clients were all well aware this change was coming. Since First Page caught wind of the proposed changes at the beginning of the year, they have been working to ensure their clients will land on the favorable side of these changes. Google offers a way to check is any website is Mobile-friendly with a mobile-friendly test. Google also has a guide to working with a website developer where it suggest asking for a developer’s portfolio, and making sure the developer understands the mobile customer.